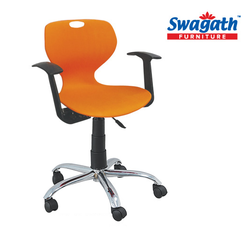 Staff Chair online with Price, Manufacturers, Suppliers, Traders and Companies in India. Medium Back Chair, PP Arms, Nylon Base, Gas Lift, PP Back Cover, PU Moulded Seat amp; Back Cushion, Fabric Tapestry. Our range of Staff & Computers Chairs Rc 552 is available in different colors and unique patterns, giving the client to choose as per their requirement. We also customize these Chairs as per the specifications detailed by our clients. Office chairs need to be chosen with care. We offer up to date models of office chairs that are designed to provide ease to the users. 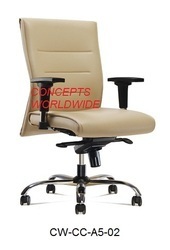 We are considered to be one of the principal office chair manufacturers and suppliers in India.